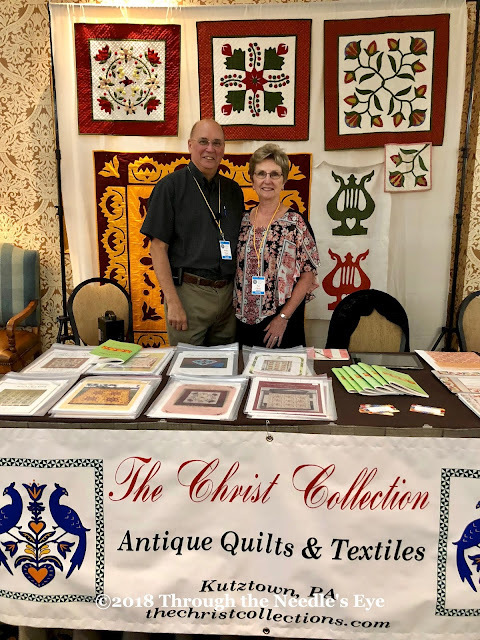 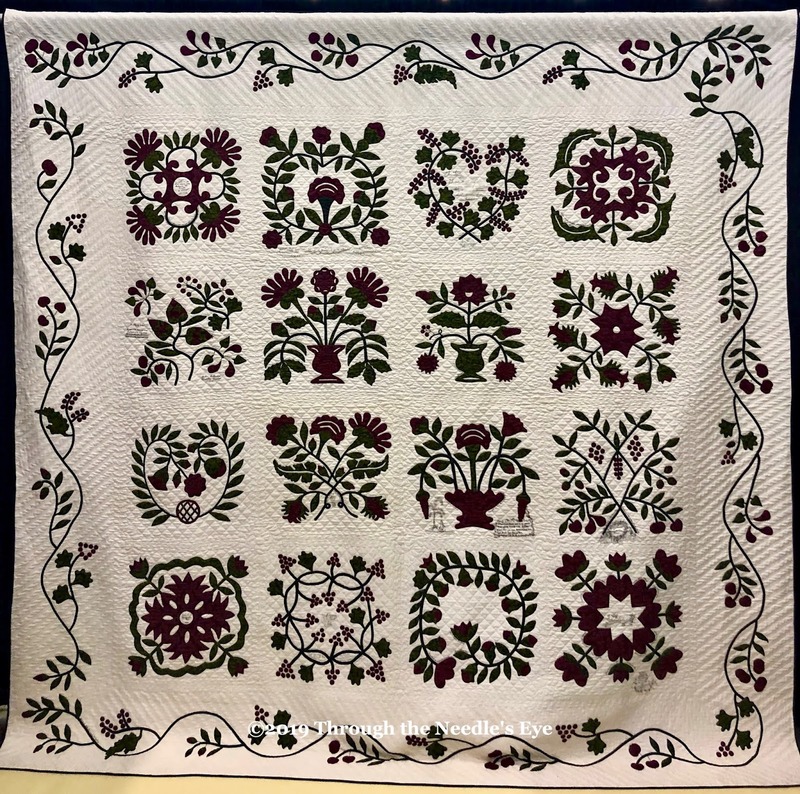 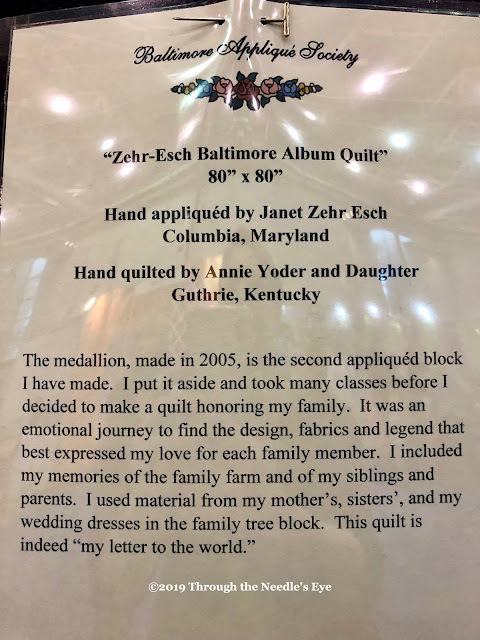 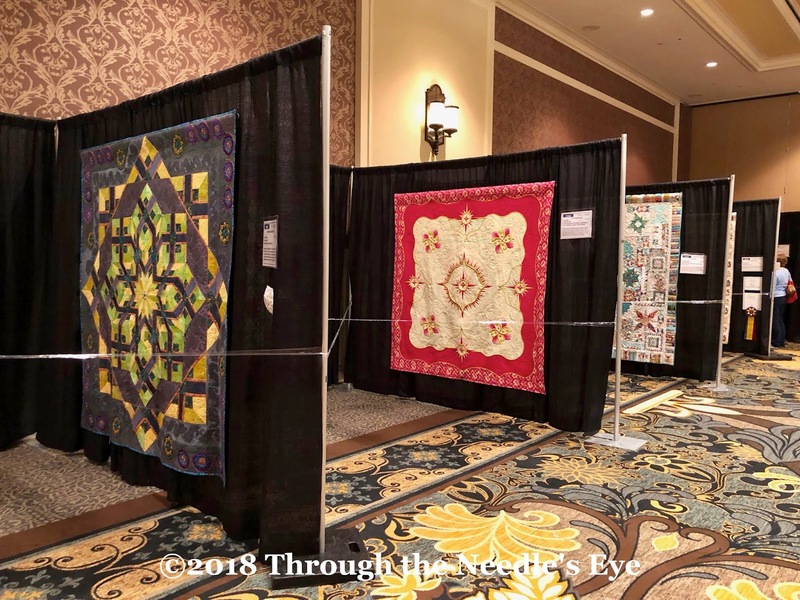 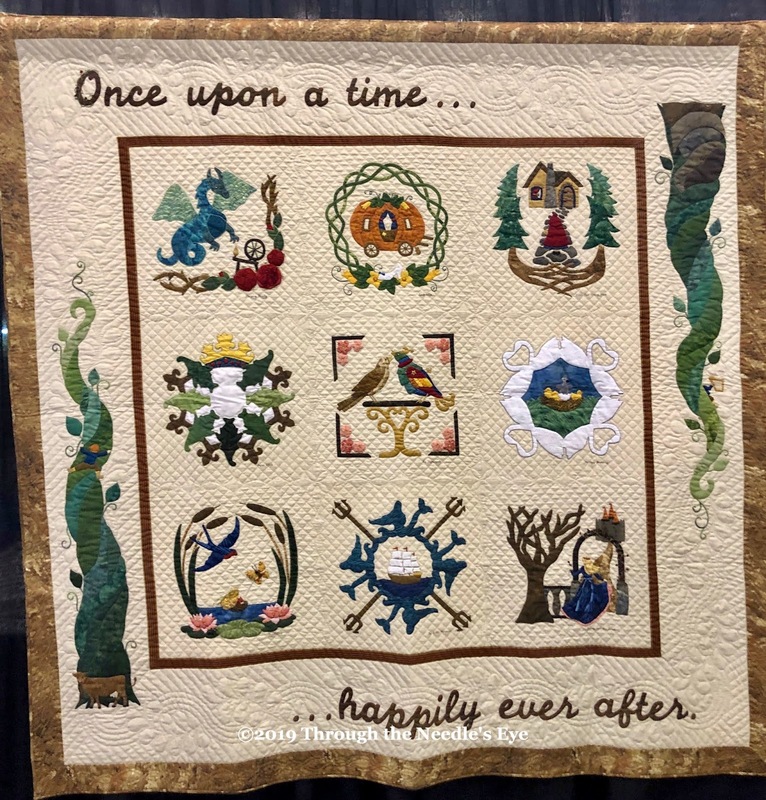 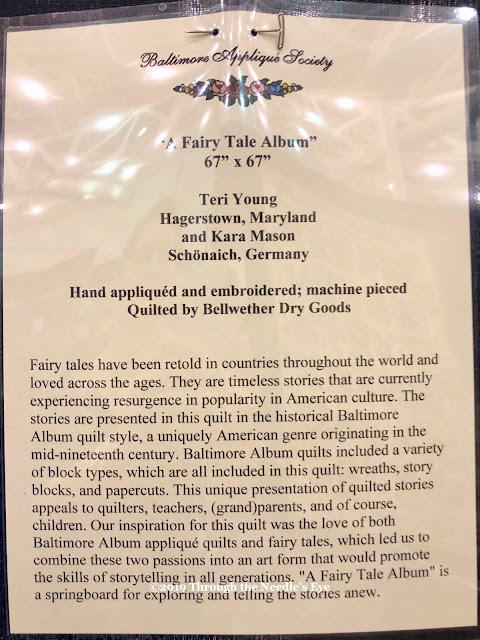 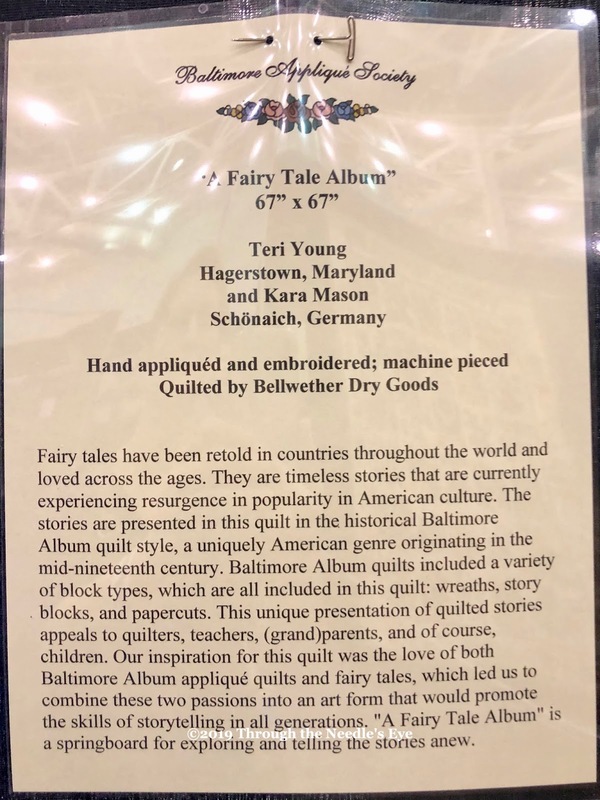 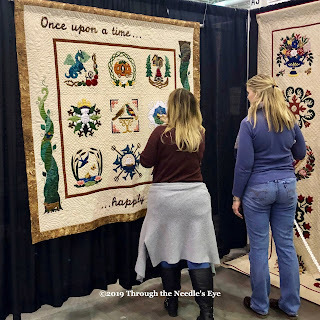 As I (Teri) sit here in Germany at Kara's computer, reflecting on the quilt show we just attended in the UK, I realized that I had photos from the show that I visited a few weeks ago that were waiting to be shared. 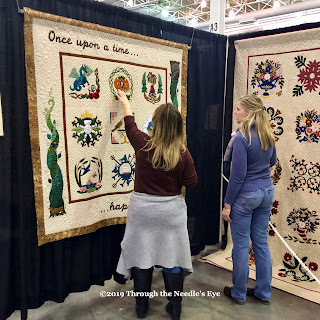 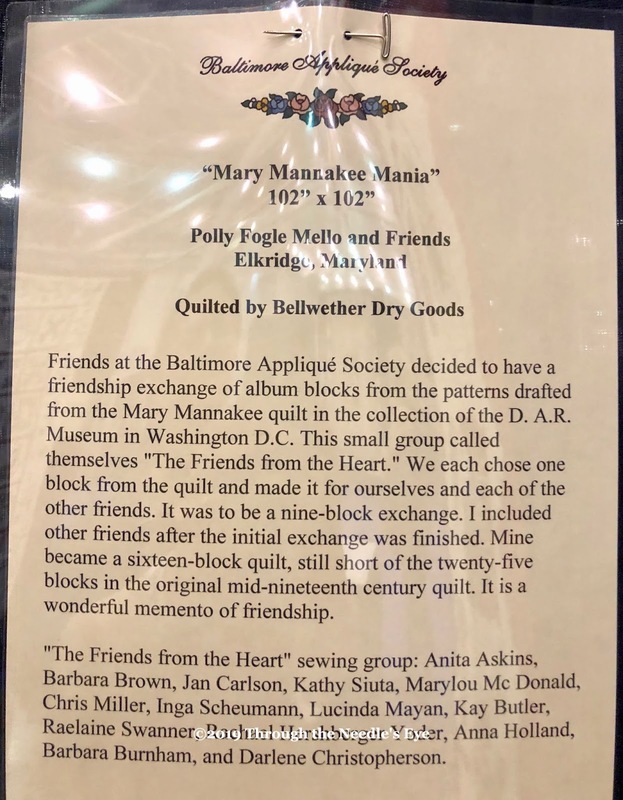 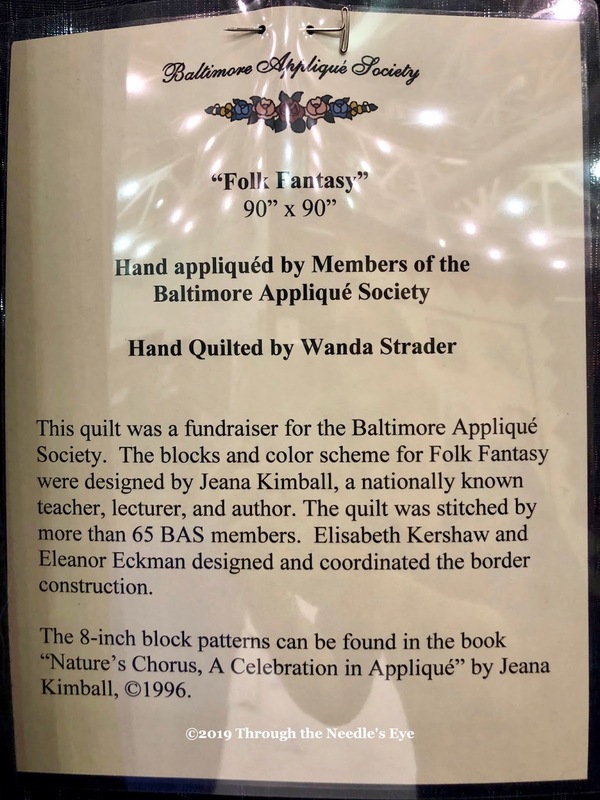 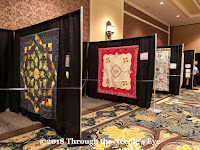 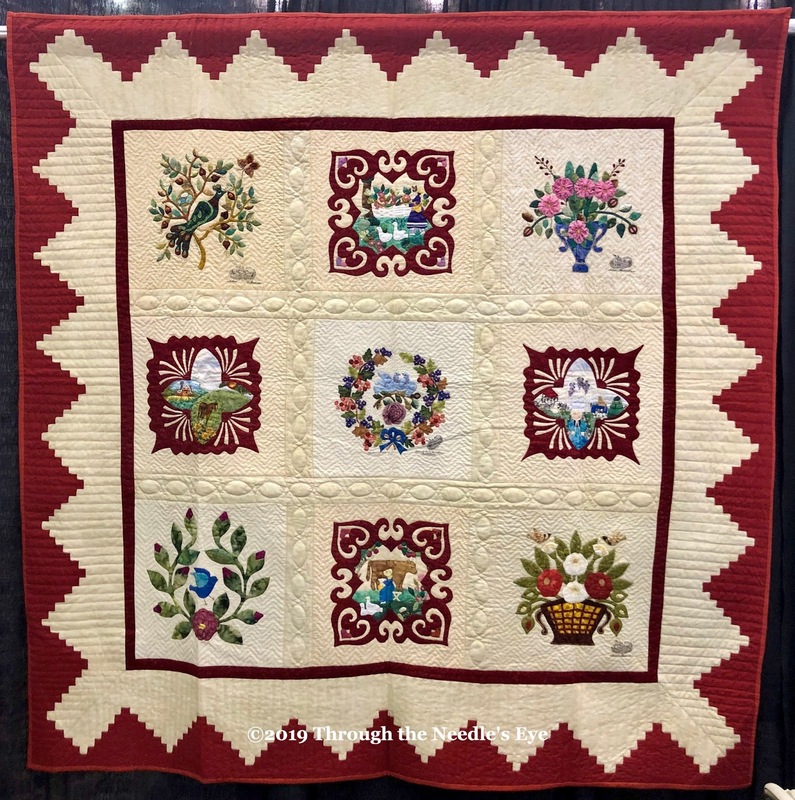 The quilt exhibit at Quilt Odyssey in Hershey, PA, was absolutely exquisite this year. 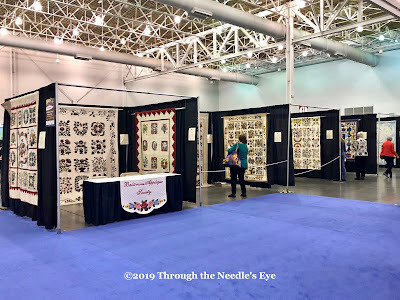 I was greatly inspired by the work shared at this show; I hope you will be as well. 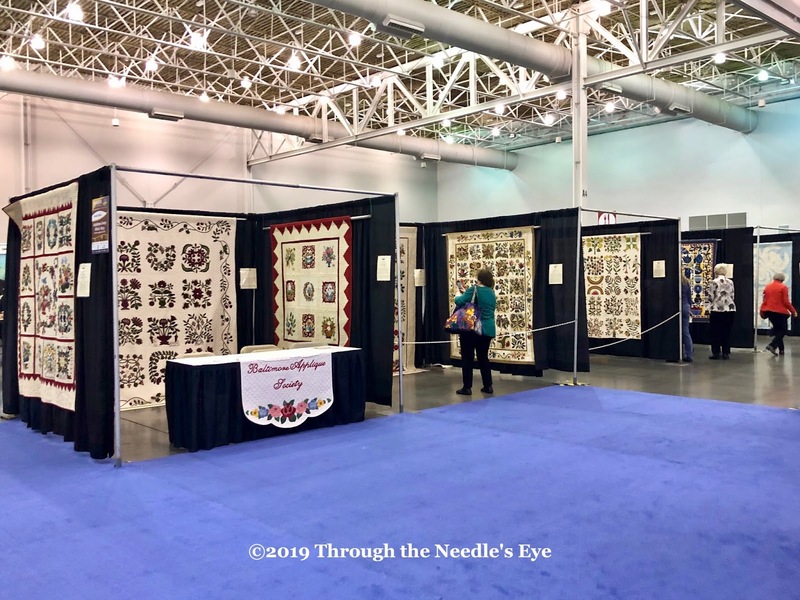 Enjoy this virtual tour of the exhibit hall. 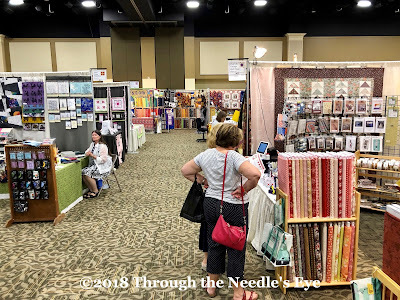 The Merchant Mall did not disappoint. 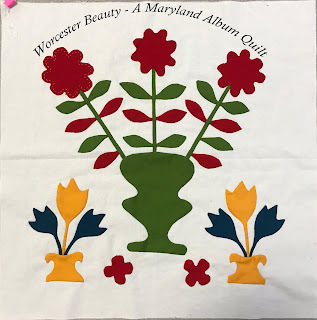 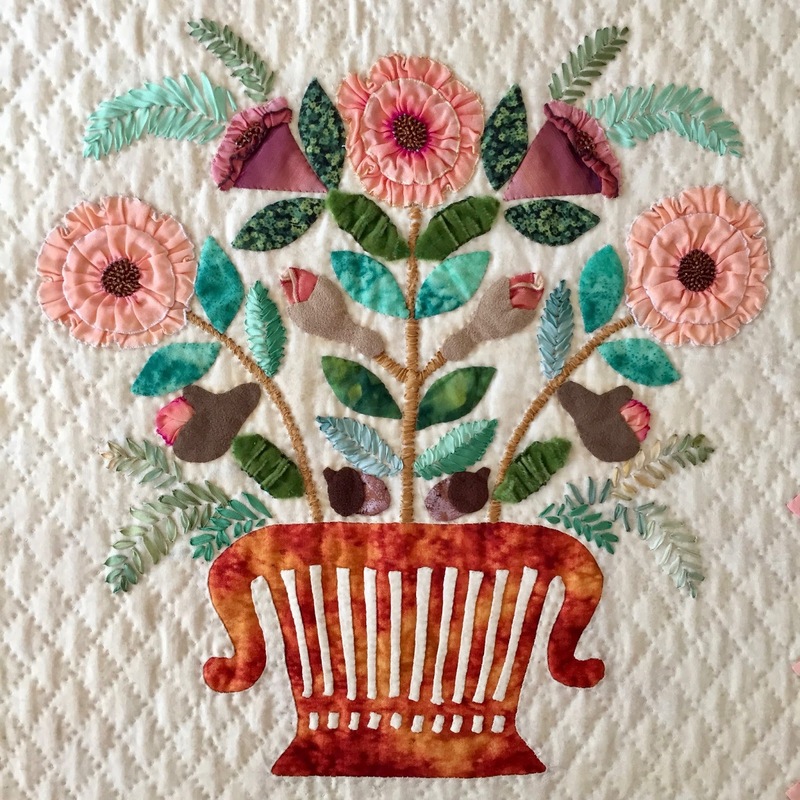 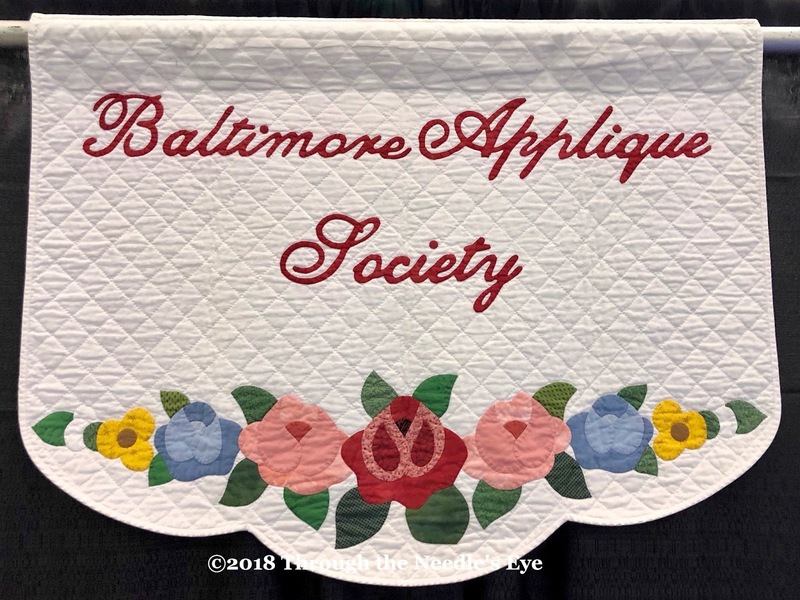 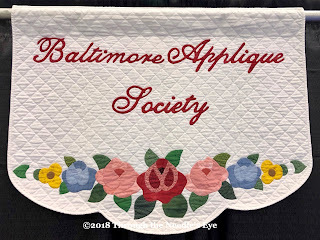 In November, I (Teri) taught a workshop for the Baltimore Appliqué Society on this lovely flower basket block, made by Mildred Tahara. 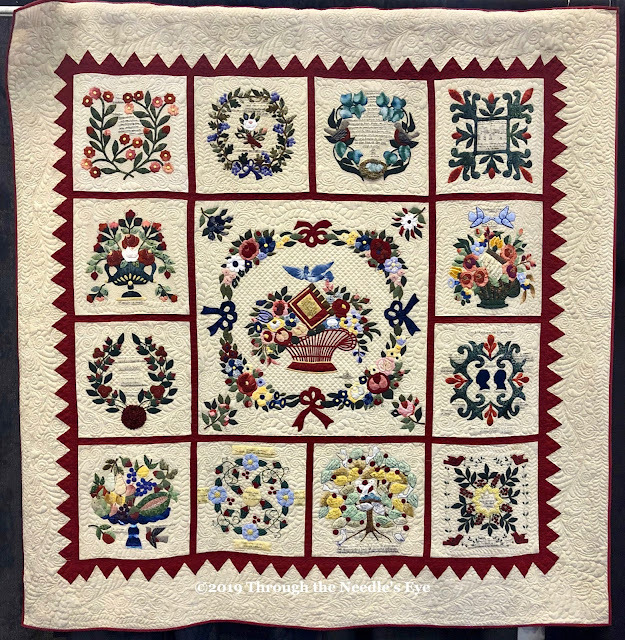 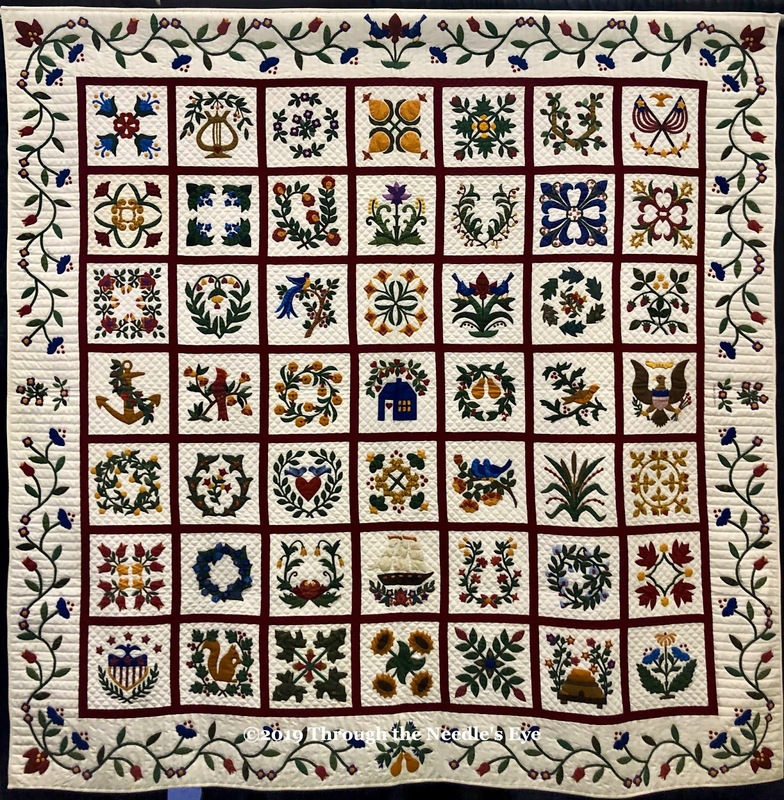 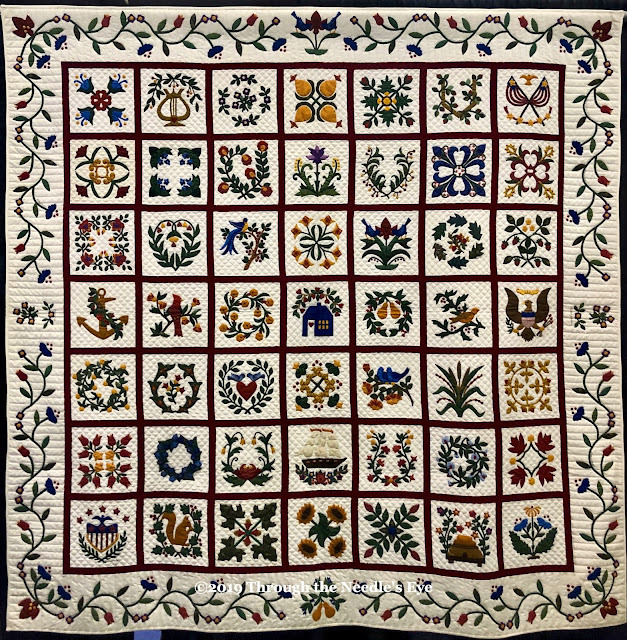 I wrote about this stunning quilt in the post, In Praise of Jane Austen: An Album Quilt, including close-up shots of the blocks Mildred made that will be BAS workshops. 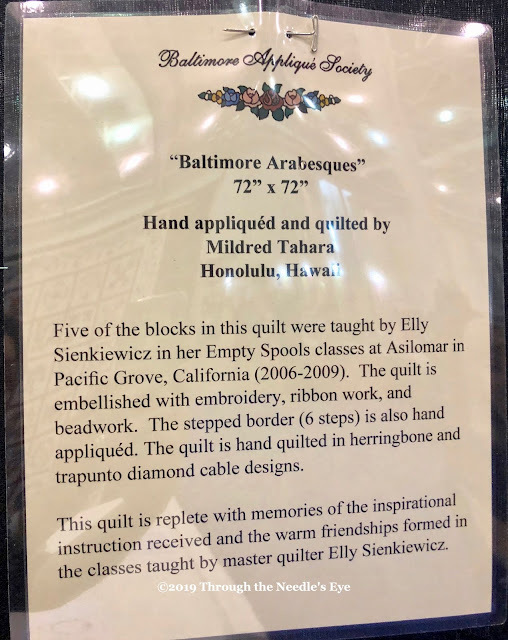 Elly Sienkiewicz designed the patterns Mildred used. What a month! 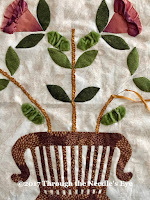 Many exciting happenings on this side of the ocean have kept me pretty busy. 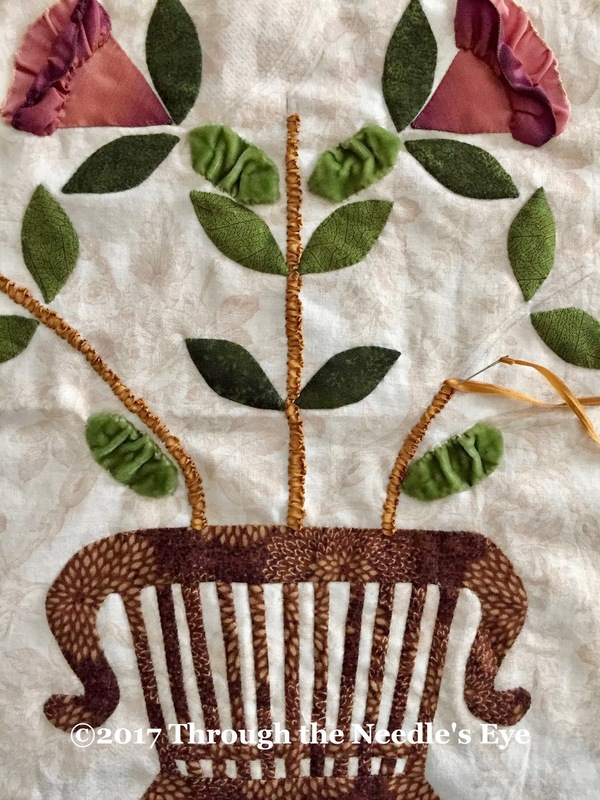 I (Teri) have been busily stitching class models for upcoming classes, one of which is pictured on the left,—this is, when I can find a moment to sit and stitch. 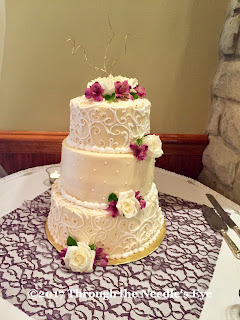 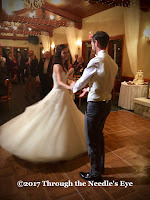 Our youngest daughter got married a couple of weeks ago, so we had lots of family festivities.